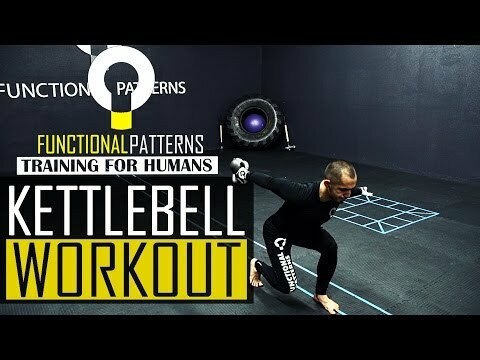 The kettlebell is an absolutely fantastic piece of equipment to have in your home. There is so much that you can do with a kettlebell that it would blow your mind if you read it all at once. However, today we aren’t here to talk about kettlebells and their general benefits. We are actually here to talk about the benefits of kettlebell swings, the swing being one very specific exercise that you can do with the kettlebell. Let’s get right to it and talk about what all of the kettlebell swing benefits are! A kettlebell is probably the simplest workout tool that you could have, yet also one of the most versatile and useful ones too. It is pretty much a large cast iron ball with a single handle on the top. Kettlebells can come in various weights. This may sound like a very simple piece of equipment, which it is, but it does in fact have many uses, with one of the best uses being the kettlebell swing. 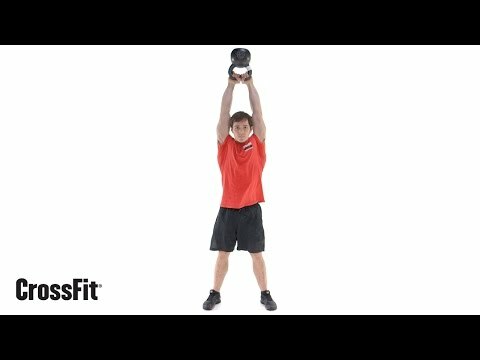 What Is A Kettlebell Swing? A kettlebell swing is a specific exercise that you can do with the kettlebell. You start out with your legs and feet spread slightly more than shoulder width apart. Hold the kettlebell’s handle with the kettlebell in between your legs, which means that you have to be crouched over slightly as well as bent at the knees. Then, start to lift the kettlebell upwards and outwards, using your legs, core, and arms to generate the force necessary to get the kettlebell up. The ending position will have your arms outstretched in front of you and slightly above your head, holding the kettlebell, with your legs straight. Then, once you have done this, simply lower it back down, going through the same process which you went through to lift it up in the first place. One of the biggest benefits that come along with doing kettlebell swings is that they provide you with a full body workout which trains almost every single muscle in your body from top to bottom. The kettlebell swing is a very efficient exercise that you can do with the kettlebell. Just to make things clear, the first stage of the swing, where you start to swing it upwards, requires your legs, glutes, hips, and lower back to generate the force required to lift the kettlebell. Then, once the swing is in progress and you are in the process of lifting it up, your abdomen and abs contract to keep the force going, thus training your core. Then as you are reaching the upright position of the swing, your arms, shoulders, wings, lats, and chest engage in order to get it to the position where it is over your head. Then on the way down all of that happens in reverse. As you can see, a kettlebell swing is amazing for training every single muscle in your body. Of course, the end result of all of this is that you will end up with stronger muscles after just a short period of time. Obviously, we all want stronger muscles because they help to increase physical performance in sports, they make everyday life easier, and they look great too. The kettlebell swing is a great way to get your body ready for beach season no doubt. Yet another thing that makes the kettlebell swing such an awesome exercise is because it is extremely versatile, or in other words, anybody can do the kettlebell swing. This exercise, and the kettlebell in general, is not just meant for men. Anybody, man and woman, young and old, can do the kettlebell swing. This is because a kettlebell comes in many different weights. Smaller women, older people, and younger kids can start out with a kettlebell that only weighs 2.5, 5, 7,5, or 10 pounds, whereas middle aged men, or strong people in general, can use a 15, 20, 25, 30, or 35-pound kettlebell with ease. These things can range in weight from 1.5 all the way to 100 pounds and more, which means that literally everybody can find a good kettlebell that is adequate to do the kettlebell swing with. Moreover, you don’t have to be at the gym to do kettlebell swings either. As long as you have enough space you can do the kettlebell swing at home, in the backyard, at the gym, at the park, or even in your workplace office too. There is also the fact that buying a kettlebell is much cheaper than buying various other pieces of exercise equipment. Another thing that we really like about the kettlebell is that it allows you to target various muscles in your body quite accurately. For instance, if you want a nice even muscle workout like we described in benefit number one, simply use both hands for the kettlebell swing in order to target both sides of your body evenly. However, if you need to work out one side of your body more than the other for whatever reason, you can always do one handed kettlebell swings, in which case they will target the side of your body which you are using to do the swings with, especially that specific arm. You can even increase the challenge by doing alternate kettlebell swings, where you do one with one arm then the next with the opposite arm, and where you literally throw the kettlebell from one hand to the other every time you switch sides. It is really convenient to have an exercise like the kettlebell swing which lets you choose which parts or side of your body to target the most. The next big benefit that is definitely worth mentioning about kettlebell swings is that they allow you to train multiple fitness aspects at the same time. A heavy kettlebell takes a whole lot of power to swing up and down time and time again, therefore it is a type of weight or strength training no doubt. However, the kettlebell swing also involves constant intense motion, because with a real kettlebell swing you never stop moving. This is a cardiovascular aspect, and doing a swing over and over again will go a long way in training your cardiovascular system too. If you want a good exercise that will allow you to train your strength and cardio, then the kettlebell swing is the way to go. It’s a great exercise to use on cross training days where you want to either take a break from pure strength training or pure cardio training. The kettlebell swing is the best of both worlds! Like we just mentioned, the kettlebell swing is a form of cardiovascular training, which means that it works out the heart just as well as it works out the muscles. If you don’t believe us, just do 20 kettlebell swings with each arm, and then do 20 with both arms, and tell us that your heart is not pumping so hard that you think it is going to explode. This is an exercise that will get your heart pumping well above your average resting heart rate, something which is definitely a good thing. Cardiovascular training is extremely important for your health and overall wellbeing. A healthy heart leads to the reduced risk of suffering from a heart attack or stroke, it lowers you resting heart rate, it lowers blood pressure, it helps reduce cholesterol, and it makes your heart not to have to work as hard to do its job, thus prolonging how long it can keep ticking for. Having a stronger, healthier, and more efficient heart also does not hurt in terms of physical performance either. The next benefit of doing kettlebell swings on a regular basis is that they can help make your lungs stronger, healthier, and more efficient at their job. Just like kettlebell swings work out all of your muscles and your heart, so do they work out your lungs. This is a very energy intensive form of exercise, one that requires a lot of oxygen to continue, one that taxes your lungs quite heavily. The faster and harder you do the kettlebell swings, the more your lungs need to work in order to supply your body with the oxygen necessary to keep going, or in other words, it trains your lungs to be more efficient. This kind of exercise causes your lungs to be able to absorb and process more oxygen as time goes on, also it makes it easier for your lungs to send oxygen to your muscles. The overall result is that your muscles will have more oxygen to function with, thus increasing how long and hard they can work for. There is also the fact that you will feel less winded, or not at all, when you walk up stairs or go for a run, not to mention that healthy and efficient lungs are also less prone to breathing related conditions too. Another benefit that comes along with doing kettlebell swings is that they can go a long way in helping you control your diabetes. Diabetes has to do with the inability of your body to process sugar, specifically glucose, which then stays in your body and harms your liver, kidneys, and other organs. In the long run, this can be deadly. However, the kettlebell swing can help control this by using up unused glucose. Your muscles will burn through that glucose when doing kettlebell swings, thus reducing the need for your diabetic body to process it, something which it really cannot do on its own. Several of the benefits that we have mentioned earlier all contribute to this benefit of endurance. Kettlebell swings help you build your physical endurance, and that is because of other benefits that come with them, benefits such as increased muscle strength, cardiovascular training, and increased lung efficiency. To start out with the obvious, stronger muscles can do more. The stronger your muscles get from doing kettlebell swings, the more physical output you will be able to muster. You will be able to lift more, throw harder, jump higher, and run faster, all thanks to those kettlebell swinging muscles. Moreover, your muscles need oxygen to function, and that is where your strong heart and efficient lungs come into play. Efficient lungs trained by doing kettlebell swings can absorbs, process, and send more oxygen throughout your body. Your muscles need that oxygen to prevent them from getting fatigued and it also helps stop the buildup of lactic acid, that stuff that makes your muscles burn. Finally, the strong heart that kettlebell swings give you is necessary for pumping that oxygenated blood to your muscles. As you can see, all 3 of these things, stronger muscles, a stronger heart, and stronger lungs, are all benefits that you get from doing kettlebell swings, and they all result in your increased ability to perform intense physical exercise for a prolonged period of time. Yet another benefit of doing kettlebell swings is that they can help you increase your ability to balance. When doing the kettlebell swing you move it from between your legs while you are bent over, to having it above and in front of your head with your arms extended upwards and outwards. This quick and constant shifting of positions means that your body has to compensate for those positional changes, automatically move itself to accommodate the shift in position, and therefore your balance gets trained in the process. Your proprioceptors are the receptors in your muscles which account of positional changes, and they are the things which automatically force your body to adjust in order to stay upright. Just like training your muscles or your memory, the more you do things that force you to balance, the better your balance will get over time. Of course, having good balance is very important for many different aspects in life. On a side note, kettlebell swings also help improve your posture by strengthening your core and back muscles. A stronger core leads to better posture, and ultimately that helps you balance much better too. Another benefit of doing kettlebell swings is that they can help you lose a whole lot of weight. Simply put, your body needs energy to function, and that energy comes from the calories you eat, or if there is a lack of calories in your body, from your fat reserves. Well, the kettlebell swing can burn up to 20 calories per minute, which is 600 calories in 30 minutes, or 1,200 calories in an hour. You may not want to do purely swings for 60 minutes straight, but if you do, you will get massive calories burning benefits. And if you don’t have enough calories in your system, your body will burn body fat to get the energy it needs, thus getting rid of those unsightly pounds on your body. The kettlebell swing also helps rev up your metabolic rate and your ﻿EPOC, the result being that your body burns way more calories long after you are done exercising than it normally would. Ultimately, the kettlebell is a fantastic tool for weight loss. On a side note, muscle burns fat, so the more muscle you accumulate from doing kettlebell swings, the more fat you will burn, yet another great benefit. It is actually shown that the swinging movement of kettlebell swings combined with the weight of the kettlebell itself can actually help reduce back pain caused by tight muscles and posterior strain on your spinal disks. In short, this exercise can help stretch out your back, relax it, and bring it back to prime health. As you can see, the kettlebell swing is a fantastic exercise that comes with many different benefits. Literally, your whole body from top to bottom will benefit from this exercise. The benefits of kettlebell swings will leave you a happier and healthier person no doubt! Any questions or comments you may have are always welcome!